Recently I signed up for a blacksmithing course. I have been interested in metal working for a while now and this turned out to be the perfect opportunity to dive into this craft. I took the class in the fully equipped studio at KSA (Kootenay School of the Arts) in Nelson, BC. The first thing I noticed and was surprised by was how easy it is to shape metal when it’s hot. I have watched movies in the past showing blacksmiths doing their thing, and I always thought they were wailing on the metal to get it to move. Not so. Once the metal is up to temperature, it’s really easy to shape it and move it. You only have about 15 seconds to work the metal until it has to go back into the forge, but you can achieve a lot with a few well-aimed hammer blows. I am excited to explore more into the world of metal working, as I think this would be a great added skill to what I already do. 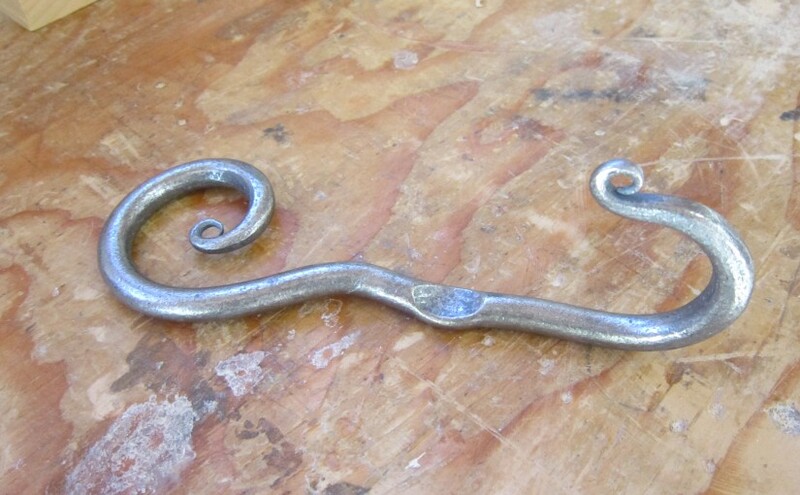 From forged drawer pulls to metal brackets for my timber frames, I think this art form could add a lot of visual impact to the woodworking!